I have had many questions about public outreach projects within the area and where do we leave our magazine Al-Anon Faces Alcoholism? Let’s start with what is Al-Anon Faces Alcoholism and how can our groups use this resource to attract families in our community that live with a problem drinker. 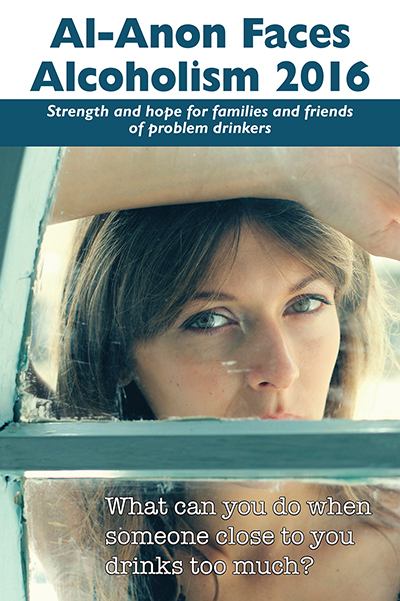 Al-Anon Faces Alcoholism (AFA) is our annual public outreach magazine. This resource is translated into three languages, English, Spanish and French. The content of Al-Anon Faces Alcoholism introduces Al-Anon/Alateen to anyone who may be interested in our program. It is a great tool for the professional community and it helps inform the professional community how they can refer to Al-Anon/Alateen as an added resource to their employees, clients, and patients when someone else’s drinking is the issue. What professions would benefit from Al-Anon Faces Alcoholism? How can we measure whether our outreach efforts worked? Place a tag on each AFA so newcomers know where the AFA came from. From September’s Recovery Awareness month and through the holidays lets carry the message to families who are still suffering.